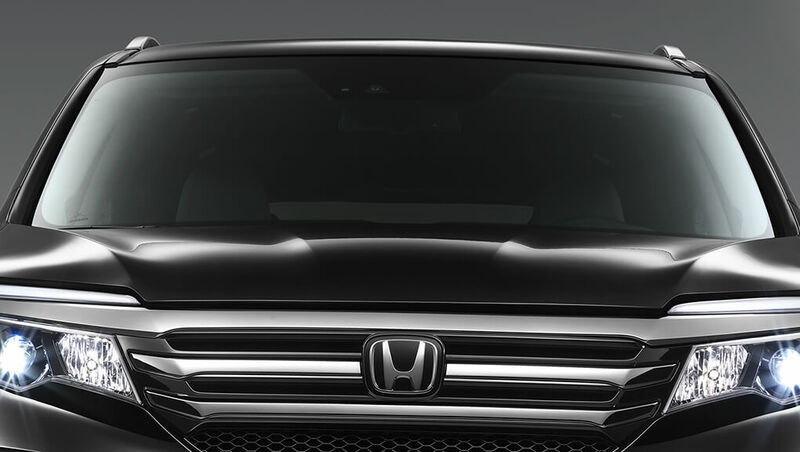 Journeyers, meet the 2018 Pilot – the Honda paragon of utility and efficiency. Equipped with the Earth Dreams™ engine and available idle-stop, the Pilot thirsts for adventure, not fuel. Its roomy interior seats up to eight passengers, and third-row access has never been easier using the available one-touch second row seats. 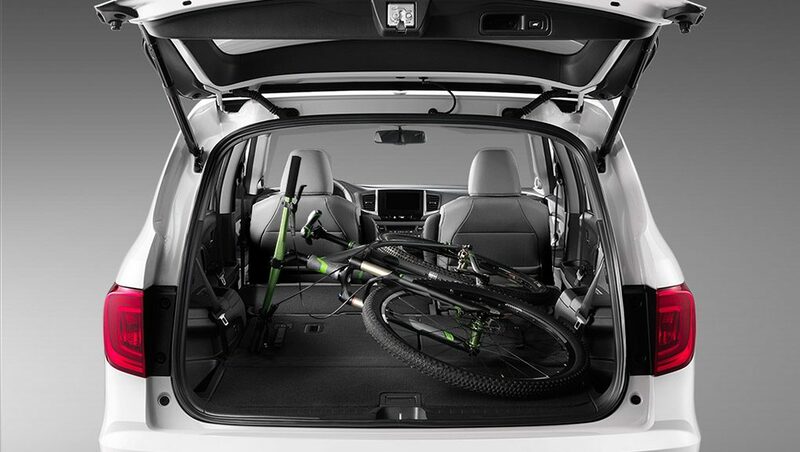 Plus, its cargo capacity makes any packing list just about limitless. 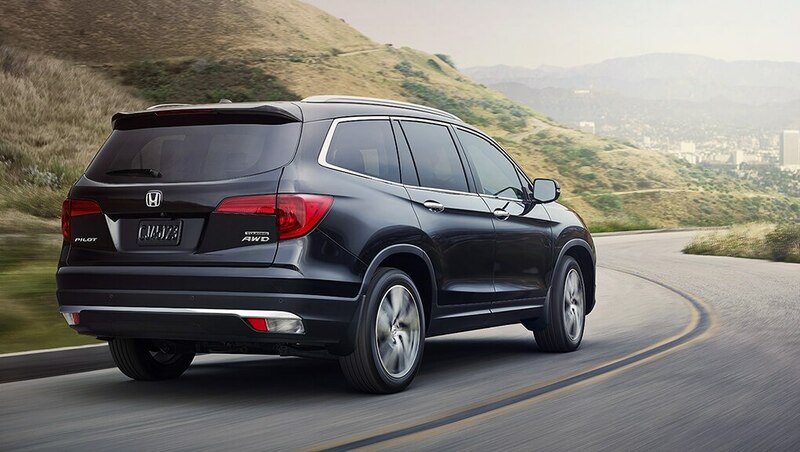 Honda Sensing™ safety and driver-assistive technologies come standard, so you’ll take confidence with you on every trip. With a refined interior inside the modern, sleek exterior, you won’t just catch attention – you’ll ride comfortably at the centre of it. The 2018 Pilot is confident, bold and ready for anything. Are you? 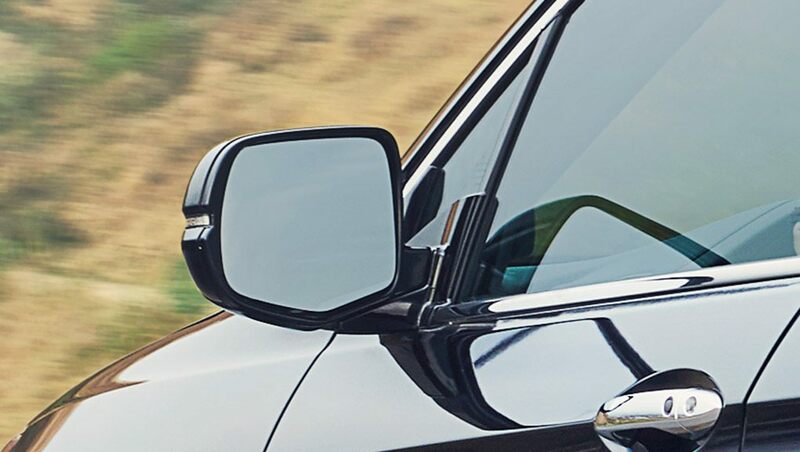 Inside the Pilot’s exterior, we’ve included softer points with premium soft-touch materials, lining the dashboard and doors – it’s one cabin you can’t keep your hands off of. And form meets function with available ambient lighting through the cabin. Because sometimes, it’s the inside that counts. Available heated leather steering wheel. 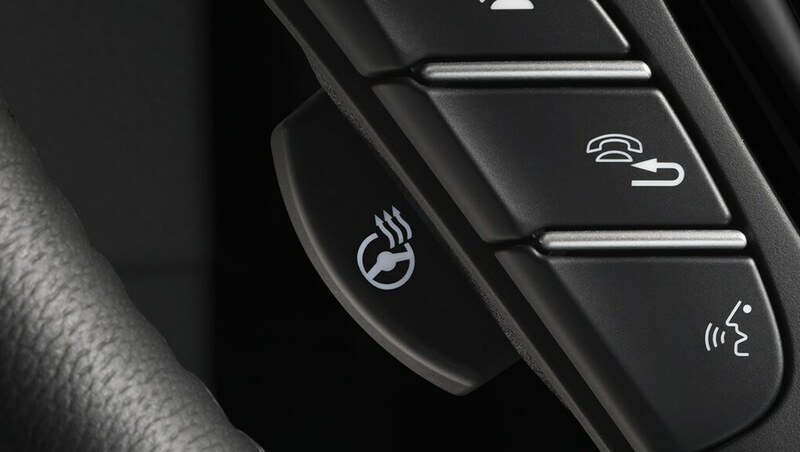 To add even more sophistication to the Pilot, experience the available heated leather steering wheel and hold comfort in the palm of your hand. Spend less time worrying about what to take with the 60/40 split-folding second-row seat or folding captain’s chairs and 60/40 split-folding third-row bench seat. And with the available two-position reversible cargo lid with hidden cargo mode, you can truly keep your cargo under wrap. 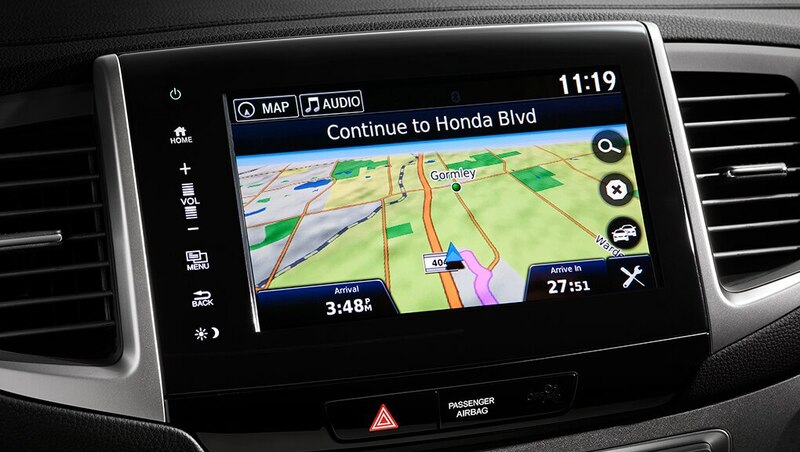 The available Honda Satellite-Linked Navigation System™ with bilingual Voice Recognition helps you drive with ease and guides you with detailed graphics, 3D landmark displays, highway signs, speed limit display, arrival time and lane guidance. There’s virtually no route you can’t plan for. 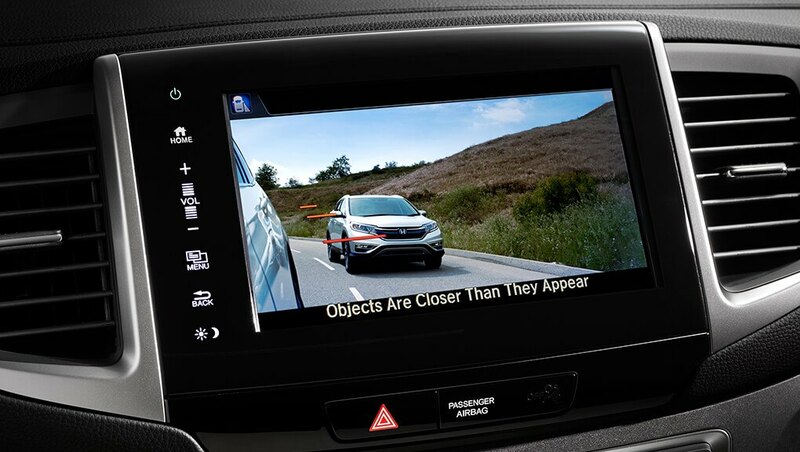 The available Honda LaneWatch blind spot display sends a live video feed from a camera mounted under your passenger-side mirror to the 8" Display Audio System screen, revealing nearly four times more visibility than the mirror alone. 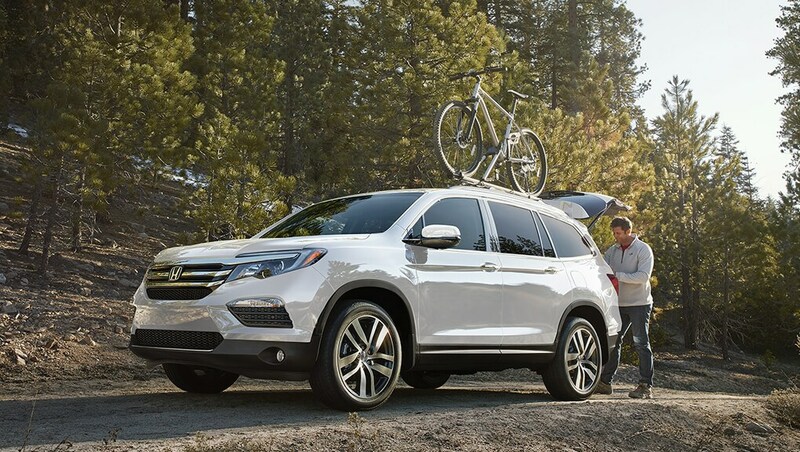 The 2018 Pilot engine is powerful and robust. Need we say more? Well actually, we’ve added some brains to our muscle. Intelligent Variable Torque Management AWD system. For a smoother ride, the Pilot’s intelligent Variable Torque Management (i-VTM4) AWD system is designed to increase responsiveness and handling, so you take to the road with greater confidence. When you take your foot off the brake, this feature is engineered to temporarily maintain brake pressure to help prevent your Pilot from starting to roll backwards when stopped on an incline. The Pilot features childproof rear door locks, as well as rear seat Lower Anchors and Tethers for Children (LATCH), which give you a simple and convenient method to install compatible child safety seats without using the vehicle’s seat belt system. The Pilot helps prepare you for the unexpected with 3-point height-adjustable front seat belts with automatic tensioning system and 3-point rear seat belts. Limited time offers applicable to eligible retail agreements, while supplies last, on qualifying new and previously unregistered Honda models. 12018 Pilot LX. 5.49% lease APR for 60 months. Weekly payment is $128.57. 260 payments required. Total lease obligation is $25,062.30 (not applicable in QC). $0.00 down payment, lien registration fee (up to $40.00), lien registering agent fee (up to $6.50) and first weekly payment due at lease inception. 20000 kilometre allowance; charge of $0.08/km for excess kilometres. Conditions apply. FOR ALL OFFERS: Up to $1,926.00 freight and PDI; applicable fees, levies and duties (all of which may vary by region and dealer): (i) included in BC, AB, SK, MB, ON and QC; and (ii) extra in PEI, NS, NFLD, NB, YK, NV and NWT. Licence; insurance; registration [including, where applicable, lien registration fee (up to $40.00) and lien registering agent fee (up to $6.50)]; duty on new tires (QC only) and applicable taxes are extra. All incentives will be deducted from the negotiated vehicle price after taxes. Model(s) displayed for illustration purposes only and may not be equipped as shown. Certain features only available on certain trims. Offers end 10-31-2018 and are subject to change or cancellation without notice. Dealer may sell/lease for less. Dealer order/trade may be necessary (but may not be available in all cases). Lease and finance offers provided through Honda Financial Services (HFS) on approved credit. Visit honda.ca or your participating Honda dealer in Canada for details. © 2018 Honda Canada Inc.